You are here: Home » Artificial Intelligence » AI and DAM: A Pick ‘n’ Mix Approach To Automated Metadata? AI and DAM: A Pick ‘n’ Mix Approach To Automated Metadata? Artificial Intelligence is here to stay; much like the way blockchain technology has been hijacked and eclipsed by the frantic rise and fall of cryptocurrency, so too has AI been prematurely blasted from the over-zealous scattergun of emergent technology and hyped as the next big thing before it has reached maturity. 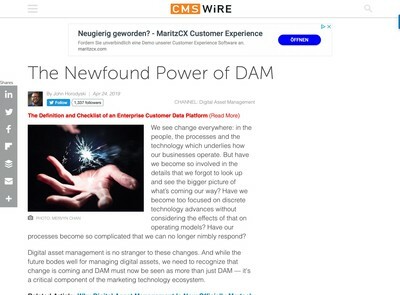 DAM solutions provider OpenAsset have recently published a short article entitled ‘Delivering Artificial Intelligence in DAM: Image Similarity Search’, and whilst graciously admitting that the (increasingly controversial) Amazon Rekognition API wasn’t suitable for their needs, it appears they couldn’t resist the temptation of bundling some kind of AI functionality into their platform. If you haven’t considered the basic mechanics of reverse image searches, or even how arbitrary ‘here’s some related stuff’ features work, their relevance to the evolution of AI might not be immediately apparent. The more reference material a storage and retrieval system can gobble up and be taught to recognise as belonging to any given tag, category, group or context, the better it is at gauging what else it can offer up by inference. However, choosing to serve up any picture of ‘glass skyscraper against blue sky’ is vastly different to recognising whether a particular picture of a skyscraper against a blue sky is the headquarters of X or Y’s business. “While image recognition offers a source of some literal descriptive metadata (i.e. 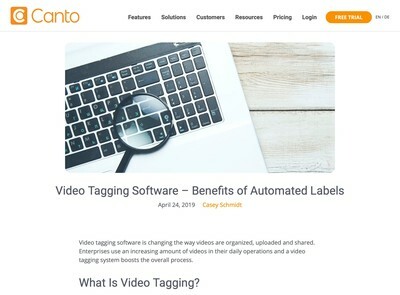 what something looks like in universal terms), it is a poor source of the kind of metadata most enterprise users require to find the relevant digital assets for their needs. 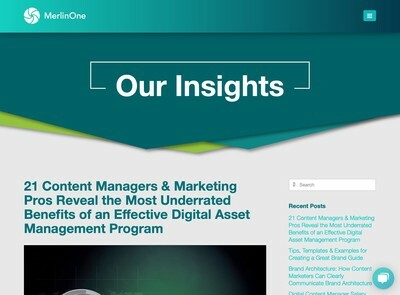 What is apparent from OpenAsset’s findings and numerous other documented cases of AI failing to live up to expectations is that it’s not a silver bullet; at this moment in time, a carefully selected pick ‘n’ mix of conventional metadata processing techniques combined with the best that AI currently has to offer appears to make the most sense. 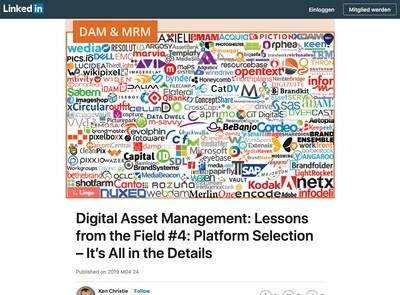 In a separate article, entitled ‘Using Digital Asset Supply Chain Management And AI To Improve Efficiency And Enhance Metadata Quality’, Ralph further examines this combined approach when considering the implementation of AI-based functionality within the DAM supply chain. So, although the prevalence of AI-based integrations might suggest to end users that it’s reached some kind of maturity, I suspect its less than satisfactory performance is going to leave this eager young star on the bench for the time being. When it does reach maturity, it may prove to be one of the biggest game changers in tech history.